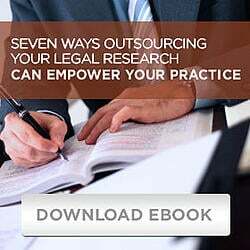 Criminal Law Legal Research Updates - Recent News in Criminal Law | National Legal Research Group, Inc. The Gun Control Act of 1968 bars firearm possession by certain groups of individuals, including convicted felons and those “adjudicated as a mental defective or who ha[ve] been committed to a mental institution.” 18 U.S.C. § 922(g)(1), (4). In 1996, Congress added a domestic violence misdemeanant restriction. Id. § 922(g)(9). Recognizing that “[e]xisting felon-in-possession laws . . . were not keeping firearms out of the hands of domestic abusers, because many people who engage in serious spousal or child abuse ultimately are not charged with or convicted of felonies,” Congress extended the federal firearm prohibition to persons convicted of misdemeanor crimes of domestic violence to “close this dangerous loophole.” United States v. Hayes, 555 U.S. 415, 426 (2009) (internal quotation marks, citation, and bracket omitted). Coming in the midst of a national discussion on reasonable limits on the Second Amendment right to bear arms prompted by high school students’ reaction to the Parkland, Florida, school shooting, a decision from the Second Circuit Court of Appeals upholding a New York City regulation restricting the ability of individuals with a "premises license" handgun permit to remove the gun from the specified premises has special resonance. In New York State Rifle & Pistol Association, Inc. v. City of New York, 883 F.3d 45 (2d Cir. 2018), a firearms owners' association and individual holders of premises handgun licenses sued the City of New York and the New York City Police Department‑License Division (collectively "City"), the local office authorized by the New York State Penal Code to issue handgun permits in the City, challenging New York City Rule 5‑23(a) on the grounds that it violates the Second Amendment, the dormant Commerce Clause, the fundamental right to travel, and the First Amendment right to expressive association. The district court granted the City's motion for summary judgment, upholding the regulation on all grounds, and the Second Circuit affirmed. Was Traffic Stop Unlawfully Prolonged in Violation of Rodriguez? A recent decision from the Fourth Circuit Court of Appeals is a reminder of both the strength of federal forfeiture laws and the limits on the right to appellate counsel. On a practical level, it illustrates the danger of assuming that assets that might be subject to postconviction forfeiture will be available to pay for an appeal. Following his convictions for a host of drug, conspiracy, and money laundering offenses, and following the court's order for forfeiture in the amount of $51.3 million, the defendant in United States v. Marshall, 872 F.3d 213 (4th Cir. 2017), made a motion in the district court to release $59,000 in the defendant's credit union account in order to pay for his appeal. The motion correctly noted that the order of forfeiture did not specifically mention the $59,000 credit union assets. Although the Government previously had filed a bill of particulars providing notice that it intended to seek the forfeiture of the $59,000 in the credit union account, the bill did not indicate whether the Government classified the credit union funds as assets derived from the crimes pursuant to 21 U.S.C. § 853(a) or substitute assets pursuant to 21 U.S.C. § 853(p), that is, assets that are a substitute for assets derived from the crime that cannot be located due to an act or omission of the defendant. Three and one-half weeks later, the Government filed—and the district court granted—a motion for a second order of forfeiture, specifically requesting the forfeiture of the funds in the credit union account and classifying them as substitute assets. The defendant then brought his motion to use the "untainted" substitute assets to pay for his appeal in the Fourth Circuit Court of Appeals, which stayed appellate proceedings while it decided the motion. The court ultimately denied his motion. In Commonwealth v. Mauricio, 477 Mass. 588, 80 N.E.3d 318 (2017), the court held that, under the Massachusetts Constitution, the search of data contained in digital cameras falls outside the scope of the "search incident to a lawful arrest" exception to the warrant requirement. In so holding, the court found the reasoning set forth in Riley v. California, 134 S. Ct. 2473 (2014), applicable to digital cameras. In Riley, the U.S. Supreme Court held that the search incident to arrest exception did not apply to cell phones. Riley found that applying the exception to the search of digital data on a cell phone served neither of the two justifications for the exception: prevention of harm to officers and prevention of destruction of evidence. Riley also recognized the privacy interests at stake, since cell phones "place vast quantities of personal information literally in the hands of individuals." Id. at 2485. Following the exhilaration accompanying a reversal of a criminal conviction, the former defendant must begin efforts to mitigate the damage, not the least of which may be repairing the financial harm of participating in the criminal justice system. In a seven to one decision (Justice Gorsuch did not participate), the U.S. Supreme Court addressed the Colorado statutory scheme for the refund of costs, fees, and restitution paid pursuant to the invalid conviction and concluded that the Compensation for Certain Exonerated Persons Act (Exoneration Act), Colo. Rev. Stat. §§ 13-65-101 to 13-65-103 (2016), violated due process by requiring defendants whose convictions have been reversed or vacated to prove their innocence by clear and convincing evidence in order to obtain a refund. Nelson v. Colorado, 137 S. Ct. 1249, 197 L. Ed. 2d 611 (2017). There were two petitioners in Nelson: (1) Shannon Nelson sought a refund of $702.10 withheld from her inmate account with the Colorado Department of Corrections toward an assessment of $8,192.50 in court costs, fees, and restitution following a reversal of her conviction for sexual and physical abuse of her four children and acquittal after retrial; and (2) Louis Alonzo Madden asked for a refund of $1,977.75 he paid toward assessed court costs, fees, and restitution totaling $4,413.00 after his conviction for patronizing a prostituted child was reversed on direct appeal, his conviction for attempted third-degree sexual assault by force was vacated on postconviction relief, and the State elected not to appeal or retry the case. Neither petitioner proceeded under the Exoneration Act. The Colorado Supreme Court held that the Exoneration Act was the sole means of seeking a refund and, thus, the courts were without authority to refund the money paid. Moreover, the Colorado court found no due process problem because the Act provided sufficient process to defendants seeking refunds. Justice Ginsberg, writing for the U.S. Supreme Court, disagreed. Generally, a lawful search warrant may not be procured by the use of illegally obtained information. E.g., State v. Cuong Phu Le, 463 S.W.3d 872, 877 (Tex. Crim. App. 2015), cert. denied, 136 S. Ct. 819 (2016). As a matter of first impression, however, the Texas Court of Criminal Appeals held that the Texas good-faith exception to the statutory exclusionary rule applied to a search executed pursuant to a search warrant that was based on information obtained from an illegal drug sniff. McClintock v. State, No. PD-1641-15,2017 WL 1076289 (Tex. Crim. App. Mar. 22, 2017). The drug-sniffing dog had been brougcrimcht by police to the door of the defendant's upstairs residence, where the dog alerted police to the presence of drugs. This information was used as the basis for a search warrant for the residence, and there would have been no probable cause without the information. Execution of the warrant resulted in the seizure of marijuana. While the case was pending on appeal, the United States Supreme Court held that such dog sniffs constituted an unconstitutional search under the Fourth Amendment. See Florida v. Jardines, 133 S. Ct. 1409 (2013). Prior to the holding in Jardines, according to McClintock, it was not clear that the dog sniff used in McClintock was illegal.